The shape of memes to come. 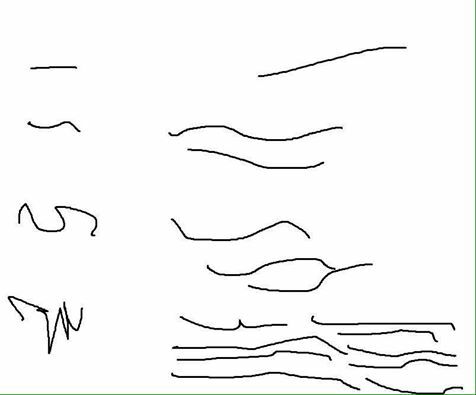 The absolute best and most important meme happening in the waning days of 2016 is known by a few names: “increasingly verbose,” “deconstruction comics,” or “continually explained.” The idea is that an image is repeated, decaying each time, until it’s nothing but a scribble. Meanwhile, the text explaining it becomes wordier with every iteration until it’s barely comprehensible. It’s a meme. It’s a popular, formulaic type of image meant for sharing online. It’s part of the subset of digital, graphical files that encourages human persons to transmit it to one another via a global electronic network until it becomes part of a shared culture, modifying the image and accompanying text each time for humorous effect. … See how that works? The meme seems to have taken off in the meme circles of Reddit, like r/me_irl, on Wednesday, and it’s just now reaching full saturation. The epicenter of the trend is r/coaxedintoasnafu, which specializes in wordy memes. As of Thursday afternoon, the front page of the subreddit was entirely filled with deconstruction comic memes. As the meme rapidly evolved, during the course of a single day, it became a meta-meme and was more about creating visual representations of the “increasingly verbose” format itself. The meme’s very quick descent into minimalism marks it as part of a recent trend that started with loss.jpg, a notorious four-panel comic strip that can be reduced to a series of 6 vertical lines and one horizontal one. Creating and spotting very subtle, barebones loss.jpgs has become an ongoing game within meme culture. Recently, we’ve seen the tendency to reduce memes to their component parts applied to new entries like This Meme Is From the Future. The same thing seems to be happening to the increasingly verbose meme. It’s especially interesting given that the concept of “increasingly verbose” is to make a simple concept needlessly complex, not to simplify it further. But more and more, it seems like the frames of memes are becoming content-agnostic. Now algorithms like Shitpostbot 5000 can paste random popular images into exploitable meme templates and get results that are at least as funny as the shitposts that humans make on Reddit and 4chan‘s /s4s/. The old adage that form follows function, typically applied to architecture, seems to hold true for memes, too: If you can create a strong, simple, exploitable meme format, it virtually doesn’t matter what you fill it with. What’s more, every new form is a chance to translate the dead memes of the past, wringing fresh humor out of them. In the past, memes have been about catchphrases, a thread you can follow all the way from “All Your Base Are Belong to Us” to “Dicks Out for Harambe.” But a catchphrase only encourages its fans to repeat it. It doesn’t offer much of a chance for interaction. The future of memes may be more about finding the right arrangement of boxes and lines, then engaging in the communal game of filling them in.